Today's Woman Crush Wednesday is the stunning Yvonne De Carlo. Born Margaret Yvonne Middleton in Vancouver, Canada, in 1922. She was an actress, singer and dancer. She played Lily Munster in the sitcom, 'The Munsters', from 1964-1966. De Carlo was reportedly chosen out of 20,000 other girls for the lead role in 'Salome, Where She Danced' in 1945. She starred as Sephora, the wife of Moses (Charlton Heston) in the biblical epic, 'The Ten Commandments', directed by Cecil B. DeMille. Yvonne De Carlo died on January 8, 2007, from heart failure. 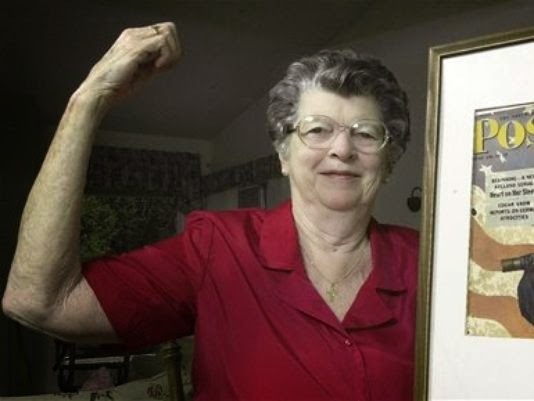 Mary Doyle Keefe, the model who posed for Norman Rockwell's Rosie the Riveter painting, died this week, aged 92. Keefe posed for the painting when he was 19 and working as a telephone operator. 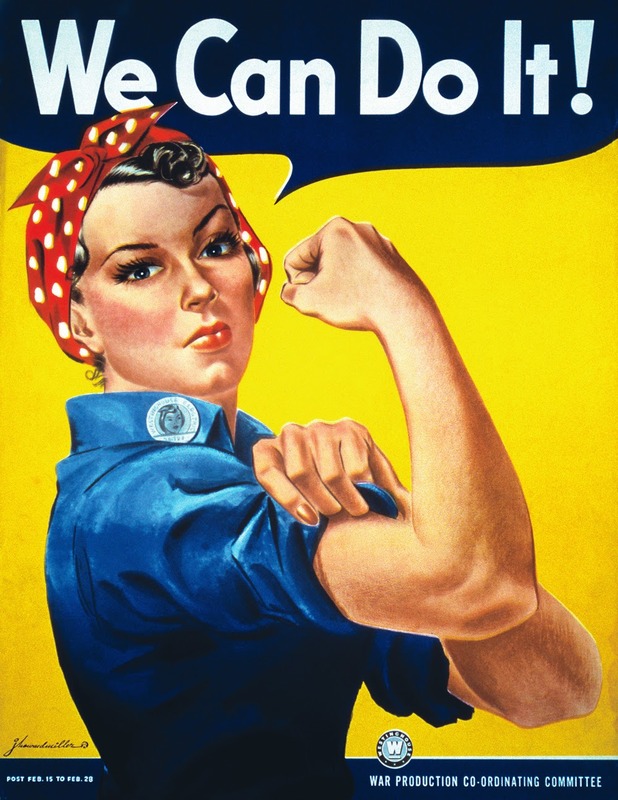 She was never a riveter but the image was symbolic of the American women who worked in the home front in World War II. 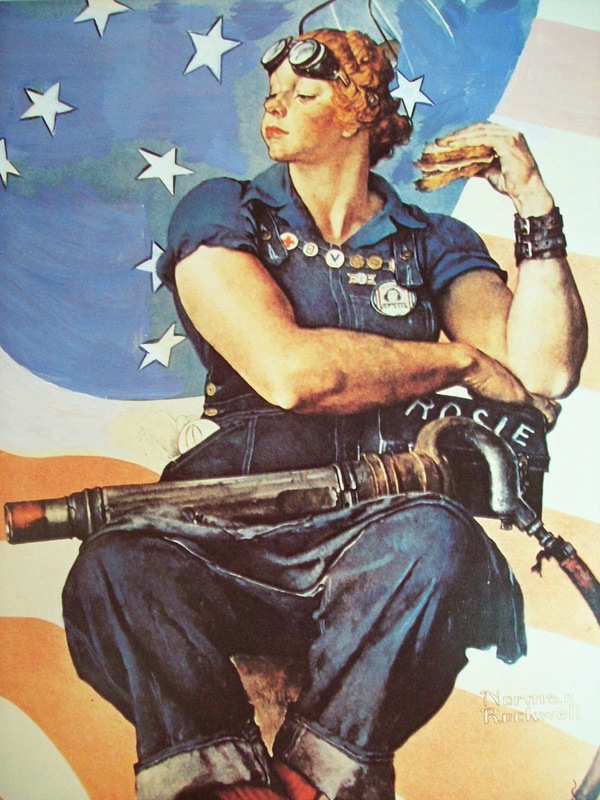 This image was made by another artist (J. Howard Miller) and would be used as a poster to sell war bonds. 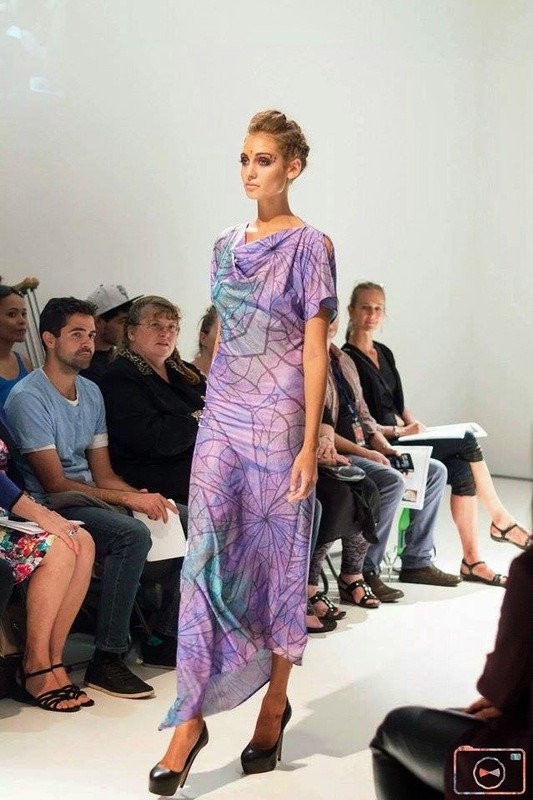 A few years ago, I wrote about a fashion designer, Colleen Tighe-Johnson, and her label Buluuy Mirrii. It has been an exciting time for Colleen, as her label is now being shown internationally. 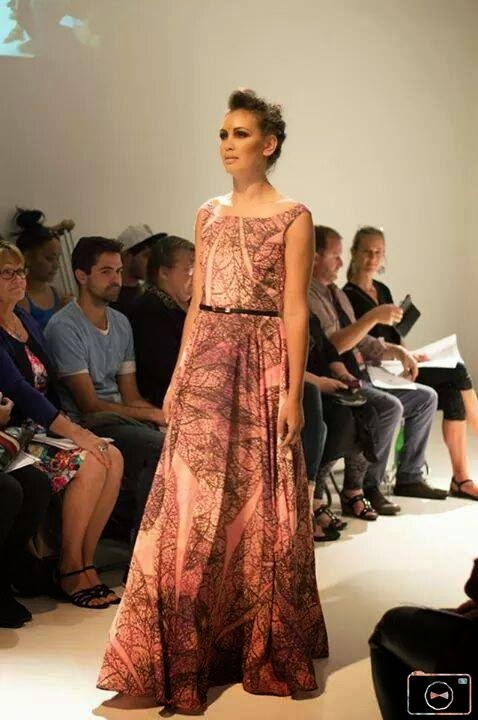 Just this month, Buluuy Mirrii, was showcased at the Virgin Australian Melbourne Fashion Festival. Colleen is a proud Gomeroi woman from Moree NSW. The Gomeroi (Gamilaroi) dreaming stories are her inspiration for her fabric designs. The patterns are soft and shimmery with beautiful background colours of purple, pinks and blues on georgette fabric - colours of the dragonfly. 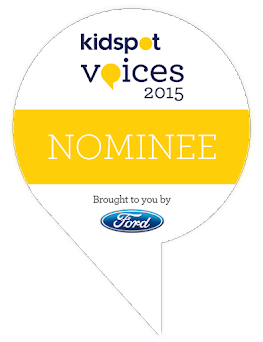 The label will be showcased in New Plymouth in New Zealand in July 2015. 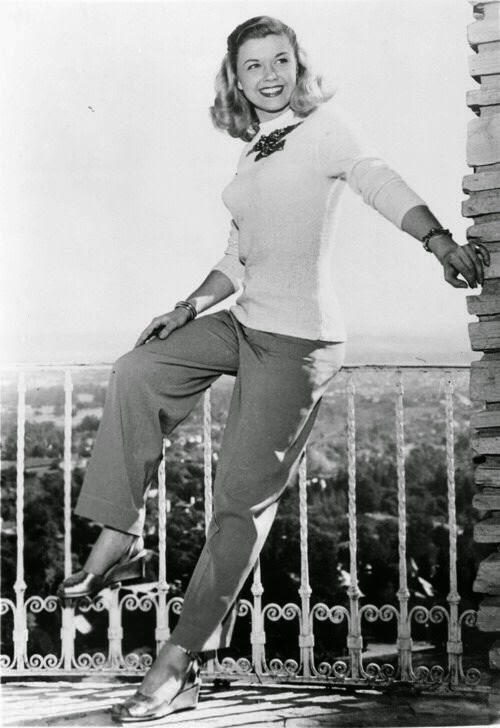 Doris Day is 91 years old today. She prefers to be out of the limelight these days. Her time is now dedicated to caring for dogs.